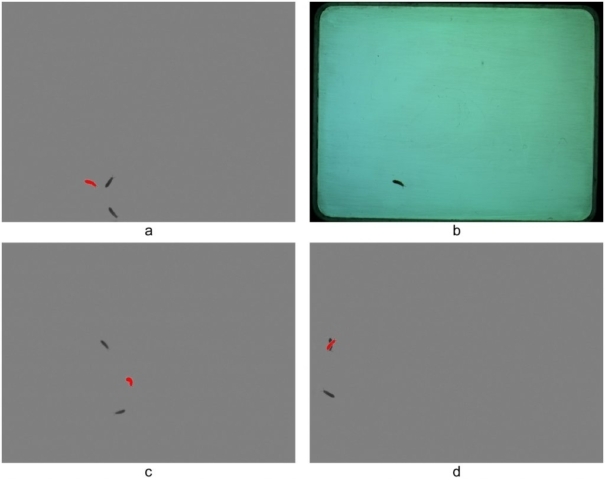 Bánszegi, O., Kosztolányi, A., Bakonyi, G., Szabó, B. and Dombos, M. (2014), New Method for Automatic Body Length Measurement of the Collembolan, Folsomia candida Willem 1902 (Insecta: Collembola). Plos One 9(6): 1-7. The collembolan, Folsomia candida, is widely used in soil ecotoxicology. 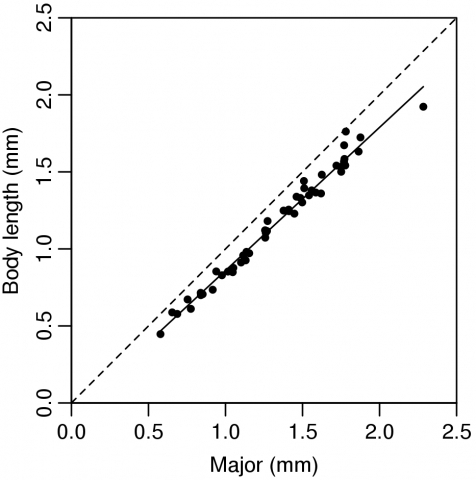 In recent years, growth rate of collembolans has become as frequently used endpoint as reproduction rate in ecotoxicological studies. However, measuring collembolan body sizes to estimate growth rate is a complicated and time-consuming task. 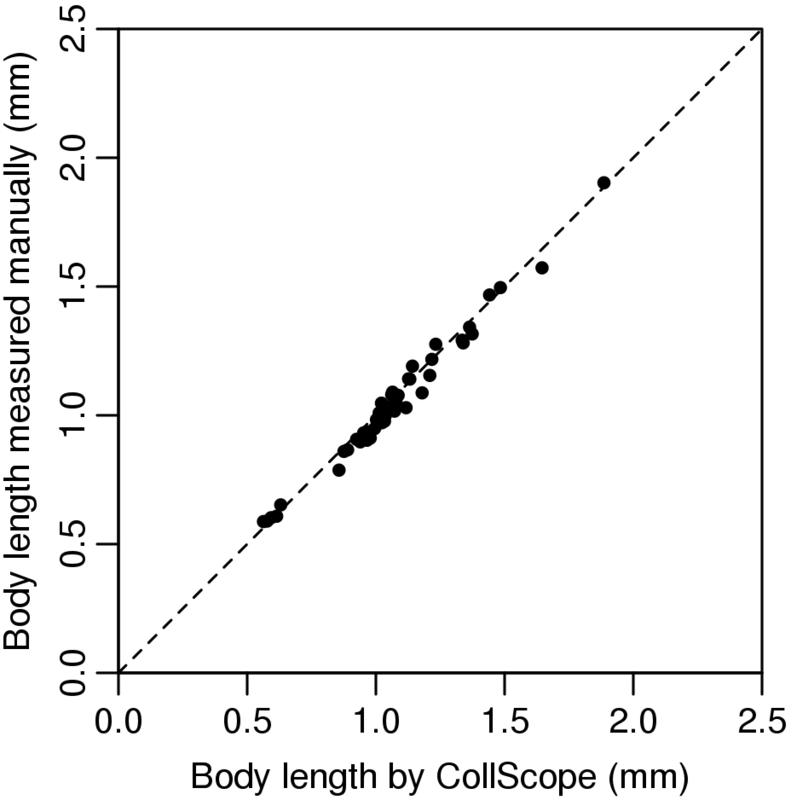 Here we present a new image analysis method, which facilitates and accelerates the body length measurement of the collembolan Folsomia candida. 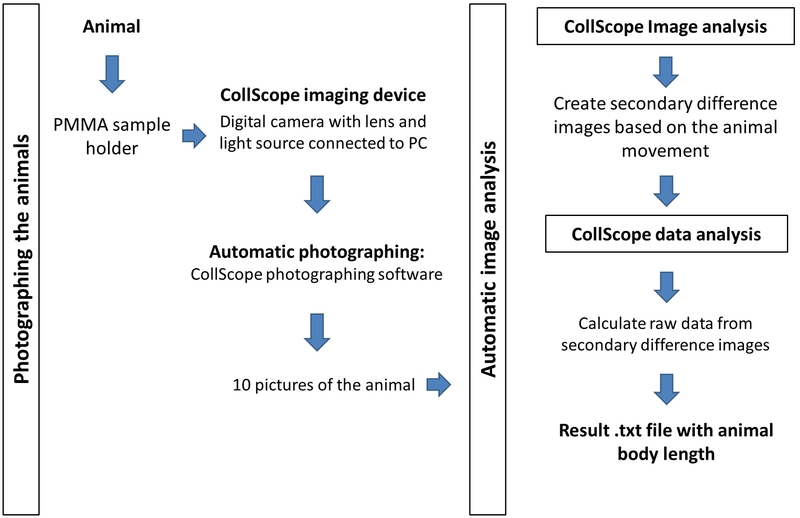 The new software package, called CollScope, consists of three elements: 1) an imaging device; 2) photographing software; 3) an ImageJ macro for image processing, measurement and data analysis. 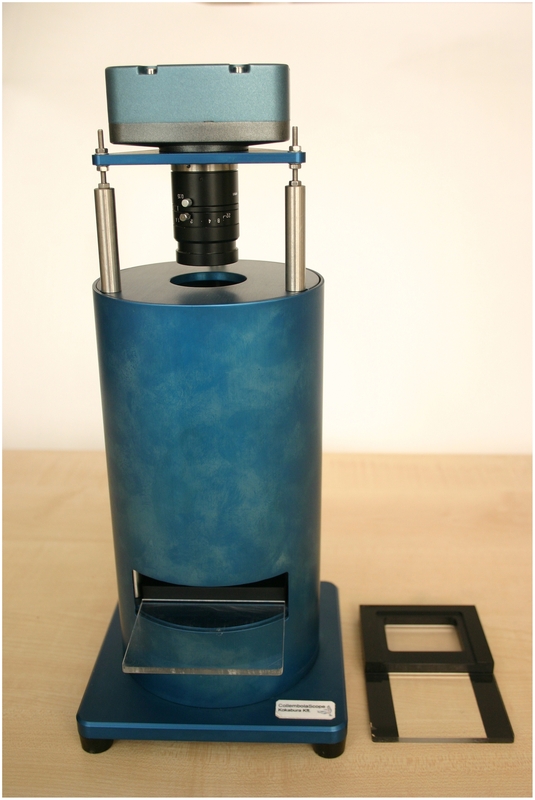 We give a complete description of the operation of the software, the image analyzing process and describe its accuracy and reliability. 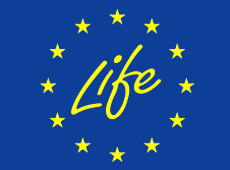 The software with a detailed usage manual is attached as Supplementary Material. 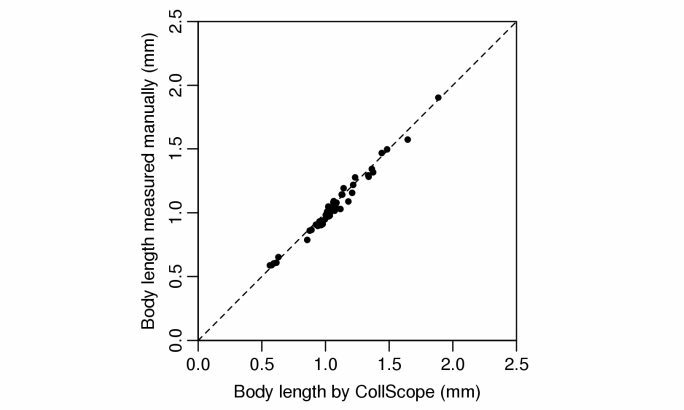 We report a case study to demonstrate that the automated measurement of collembolan body sizes is highly correlated with the traditional manual measurements (estimated measuring accuracy 0.05 mm). Furthermore, we performed a dose-response ecotoxicity test using cadmium-sulfate by using CollScope as well as classical methods for size measurement. Size data measured by CollScope or manually did not differ significantly. Furthermore the new software package decreased time consumption of the measurements to 42% when tested on 35 animals. 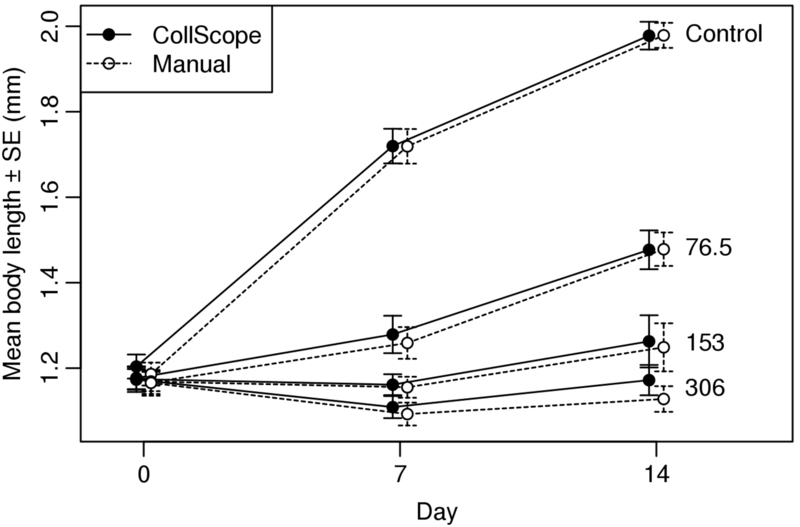 Consequently, methodological investigations performed in this study should be regarded as a recommendation for any other routine dose-response study where body growth is an endpoint.